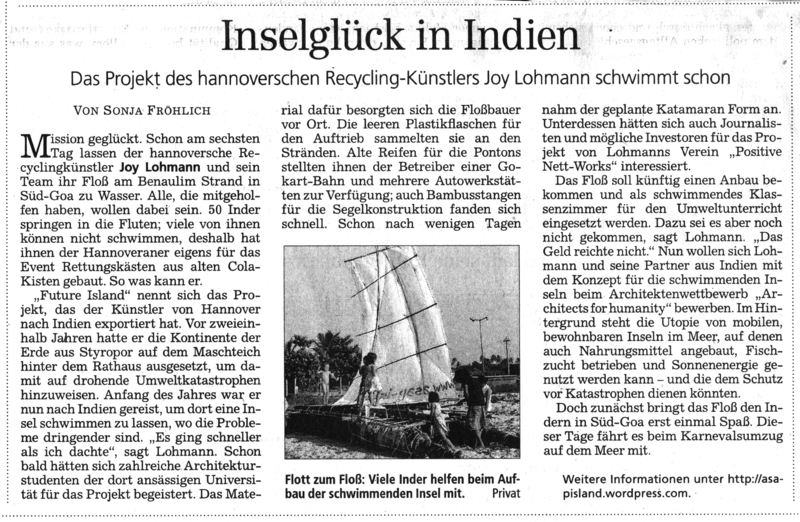 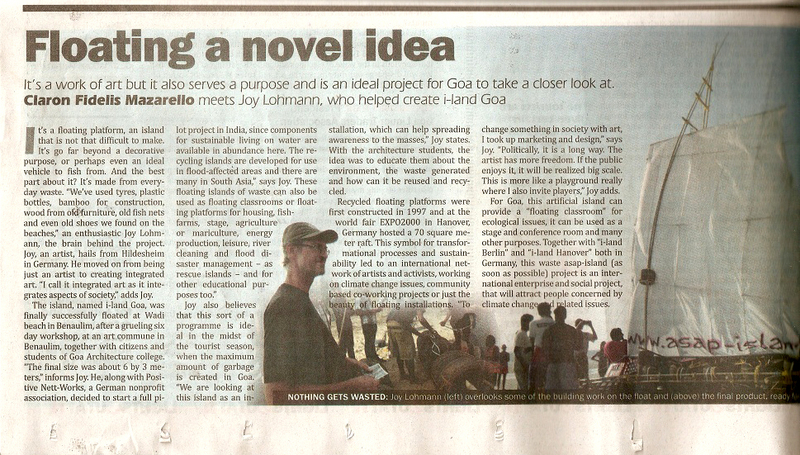 Within the 6 day construction camp, together with Art Escape Goa and about 40 participants, a 3 x 6m recycling raft was built in Goa/India. 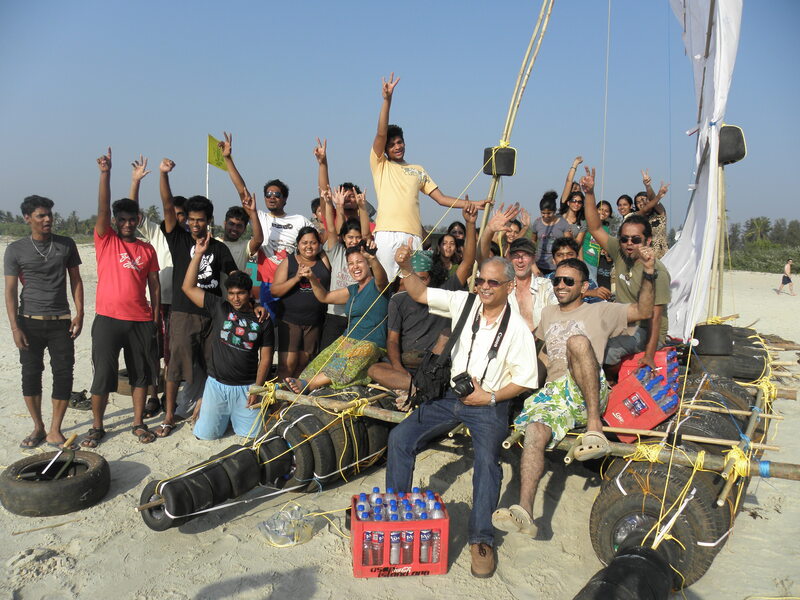 It is the start for a growing artificial island on the arabian sea. 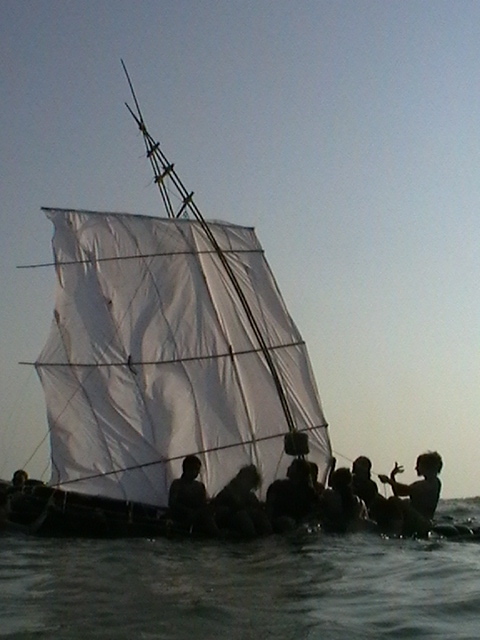 Have a look at the full documentation, check the background of the asap-island adventure or join the facebook group and be a part of the movement.